The Boards of Directors of both companies have approved the acquisition. The transaction is subject to customary conditions to closing, including approval by Photon Dynamics’ stockholders and requisite regulatory approvals, and is expected to close during the second half of 2008. Orbotech’s financial advisor on the transaction is Lehman Brothers Inc. and Photon Dynamics’ financial advisor on the transaction is Credit Suisse Securities (USA) LLC. An Orbotech investor conference call regarding this acquisition is scheduled for Thursday, June 26, 2008, at 3:00 p.m. EDT. The dial-in number for the conference call is 210-234-0021, and a replay will be available after 8:00 p.m. EDT on June 27, 2008 and until 11:59 p.m. EDT on July 11, 2008, on a telephone number which will be published on the investor relations section of Orbotech’s website. The pass code is ORBOTECH. A live web cast of the conference call and replay can also be heard by accessing the investor relations section on Orbotech’s website at www.orbotech.com. Photon Dynamics, Inc. (NASDAQ: PHTN) is a global supplier utilizing advanced machine vision technology for market leading LCD flat panel display test and repair systems and for high performance digital imaging systems for defense, surveillance, industrial inspection and medical imaging applications. For more information about Photon Dynamics, visit its website at www.photondynamics.com. Orbotech is principally engaged in the design, development, manufacture, marketing and service of yield-enhancing and production solutions for specialized applications in the supply chain of the electronics industry. 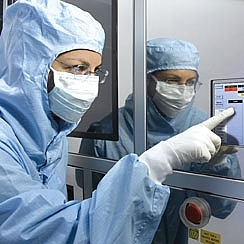 Orbotech’s products include automated optical inspection (“AOI”) and process control systems for bare and assembled printed circuit boards (“PCB”s) and for flat panel displays (“FPD”s), and imaging solutions for PCB production. Orbotech also markets computer-aided manufacturing and engineering (“CAM”) solutions for PCB production. In addition, through its subsidiary, Orbograph Ltd., Orbotech develops and markets automatic check reading solutions to banks and other financial institutions, and has developed a proprietary technology for web-based, location-independent data entry for check processing and forms processing; and, through its subsidiaries, Orbotech Medical Denmark A/S and Orbotech Medical Solutions Ltd., is engaged in the research and development, manufacture and sale of specialized products for application in medical nuclear imaging. Of Orbotech’s employees, more than one quarter are scientists and engineers, who integrate their multi-disciplinary knowledge, talents and skills to develop and provide sophisticated solutions and technologies designed to meet customers’ long-term needs. Orbotech maintains its headquarters and its primary research, development and manufacturing facilities in Israel, and more than 30 offices worldwide. Orbotech’s extensive network of marketing, sales and customer support teams throughout North America, Europe, the Pacific Rim, China and Japan deliver its knowledge and expertise directly to customers the world over. For more information visit www.orbotech.com. Except for historical information, the matters discussed in this communication are forward-looking statements that are subject to certain risks and uncertainties which could cause the actual results to differ materially from those projected, including statements regarding the proposed business combination and the anticipated consequences and benefits of such transaction, industry trends, the timing and strength of product and service offerings, changes in business or pricing strategies, changes in the prevailing political and regulatory framework in which the relevant parties operate or in economic or technological trends or conditions, including currency fluctuations, inflation and consumer confidence, on a global, regional or national basis and other risks detailed from time to time in Orbotech and Photon Dynamics’ SEC reports. The Companies assume no obligation to update any information in this communication. PHOTON DYNAMICS INVESTORS AND SECURITY HOLDERS ARE URGED TO READ THE PROXY STATEMENT REGARDING THE BUSINESS COMBINATION TRANSACTION REFERRED TO ABOVE, WHEN IT BECOMES AVAILABLE, BECAUSE IT WILL CONTAIN IMPORTANT INFORMATION. The proxy statement will be filed with the Securities and Exchange Commission by Photon Dynamics, Inc. Investors and security holders of Photon Dynamics may obtain a copy of the proxy statement (once available) free of charge, as well as other documents filed by Photon Dynamics with the SEC, at the SEC’s website at www.sec.gov. The proxy statement (when available) and these other documents may also be obtained from Photon Dynamics free of charge by direct request to Photon Dynamics’ investor services department. Photon Dynamics, Inc. and its directors and executive officers and other members of management and employees may be deemed to participate in the solicitation of proxies in respect of the proposed business combination. Investors of Photon Dynamics may obtain a detailed list of names, affiliations and interests of Photon Dynamics participants from an SEC filing under Schedule 14A to be made by Photon Dynamics.